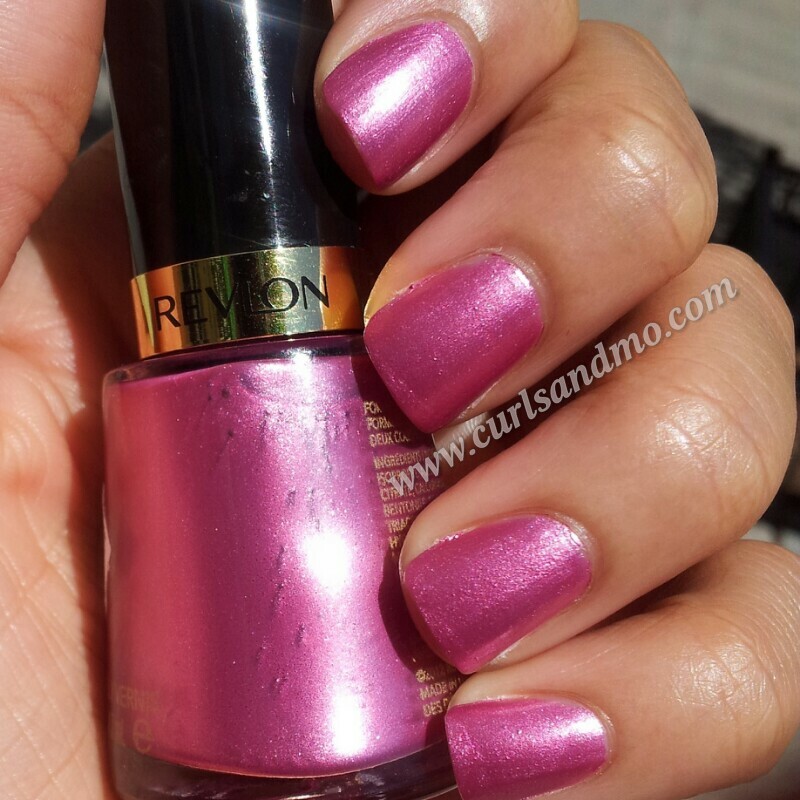 Last week Revlon was on sale at CVS and I had two coupons: one for 25% off of my purchase and one for $3.00 off of a Revlon purchase. While in the city Saturday I decided to take advantage of the sale and use my coupon. For some reason the CVS in the city did not have a sale on Revlon but I STILL made out like a bandit. I only paid $2.29 for a $6.49 bottle and I’m really pleased. I’m also pleased with the nail polish. I picked Extravagant because it looked unlike any other color I have. After applying the first coast I was really surprised that it was so opaque, vibrant and that it dried SO fast. I applied two coats right before bed and couldn’t believe that it dried so fast and wasn’t smudged the next morning. I was also surprised that it was so shiny without applying a top coat (there was no base either). What do you ladies think? What are you rocking on your nails this week? 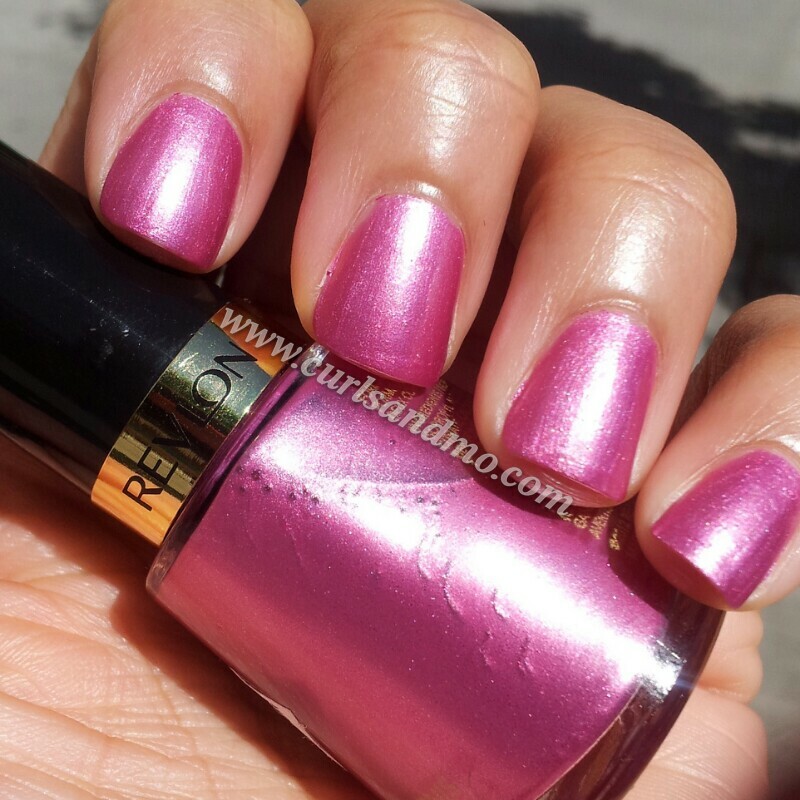 This entry was posted in Nailista and tagged Beauty, beauty blogger, blogger, cosmetics, curls and mo, curlsandmo, makeup, mani mon, manicure, nail art, nail polish, nails, NYC, pink, product review, products, relon, team natural, vlogger, YouTube. Bookmark the permalink.